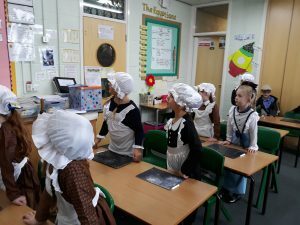 WELCOME TO YEAR 2 – CLASS 5! We expect children to read at least 4 times a week. Please could you sign your child’s reading diary each time they read with you at home. The children are rewarded in our weekly celebration assemblies for consistent home reading throughout each half term. It would be lovely to see lots of our class receiving a certificate each half term! Homework is given out on a Friday expected to be returned by the following Wednesday. Children can return their homework as soon as it is complete. 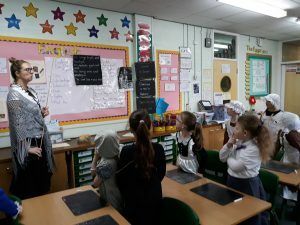 Spellings are also given out on a Friday for children to learn for a spelling test the following Friday. They can use their spelling diaries to learn these and write the words into sentences. Our PE lessons are every Tuesday afternoon. Children need their full kit in school every week: white T-shirt, blue/black shorts & black pumps. Children are unable to wear trainers when we have PE in the school hall, only pumps or bare foot. If your child takes part in an after school club that require a PE kit please can you ensure their kit is returned the next day & available for PE lessons. Football, Health & Fitness, Art & Crafts, Choir and Curriculum support. 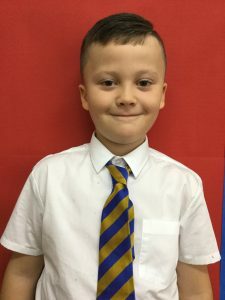 If your child doesn’t currently attend a club and they would like to please come and see Mrs Pitfield & we’ll do our best to make sure there is something they can join. Places in clubs are limited but children will get an opportunity each half term to join a new club if they would like to. We didn’t let a bit of rain spoil our visit to the zoo. We were learning about different animals and their habitats & food chains to link with our science topic! It was lots of fun! 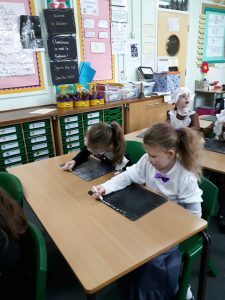 What a fun few days we’ve had immersing ourselves into the life of the Victorians. First was our tri to Norton Priory Museum where we learnt lots about the life of the rich and poor. The site once housed the very rich Brooke family and parts of their mansion are still standing now, inclusing the walled garden and the servant’s quarters, plus the we explored the entrance to the big house and their huge wine cellar! Here are some websites your child can use to help with learning their times tables!